How Safe is the home you are buying? A Certified Home Inspector can tell you. The average homebuyer might look at a house and think it’s in great condition. But only a trained and certified home inspector can spot major problems lurking in the plumbing system, electrical wiring and foundation. Before you buy a home in the Pleasant Hill, Lee’s Summit, or greater Kansas City area, call a home inspector to examine the house from the basement to the attic. Welcome home Inspections has you covered. We provide comprehensive home inspection services for residents in the Pleasant Hill, Lee’s Summit and greater Kansas City. Call 816-935-1233 today to make an appointment. Or if you prefer simply e-mail us. You can count on Welcome Home Inspections to be thorough. 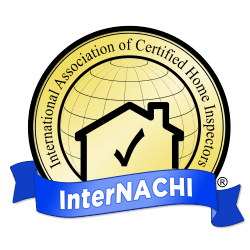 Contact us today to schedule certified home inspection services. Home inspections starting at $275! Avoid the surprises that can come from the appraisal and home inspection that your prospective buyer may hire. Call 816-935-1233 now to schedule an inspection. We'll check the whole house to find flaws that other home inspectors would otherwise miss. Before our owner became a certified home inspector in March of 2017, he worked as a real estate appraiser for almost a decade. In the mean time he's bought multiple flip and rental properties. He'll find any flaws that can impact your home value. That way, you won't have to worry about any surprises during your home inspection.